1. Different audiences require different marketing strategies. 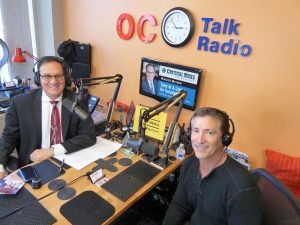 While on Critical Mass Radio Show, Dan Coffman explained that for UPS Protection, many of the company’s products are similar, but with a range of different applications. As such, the company has to be strategic in how it markets its product to each of these different target audiences. Regardless of what types of products and services your businesses provides, consider how you can angle your offer differently for different consumers in order to most effectively connect with them and explain how you can help meet their needs. solve their problems more effectively. 3. Peer groups provide opportunities for both personal and professional advancement. Dan explained that during his many years involved with the peer learning community, he has been able to personally connect to the issues, concerns, and successes shared by other members of the peer group, adding that the longer he was a part of the group, the more insight he was able to gain from the members on a wide range of business topics such as law and marketing, among others.